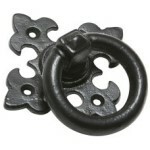 A broad range of finely crafted ironmongery fittings in hand forged steel especially suited to the sympathetic restoration of period buildings and traditionally built new build properties. An extensive range of traditional British made cast malleable iron door and window fittings and associated ironmongery products in Antique Black and Berlin Black. An ideal choice for both historic properties and high quality new build projects where an authentic period look is required. 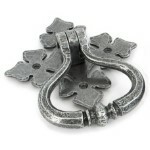 Expertly hand crafted for over 160 years by Kirkpatrick of Willenhall.